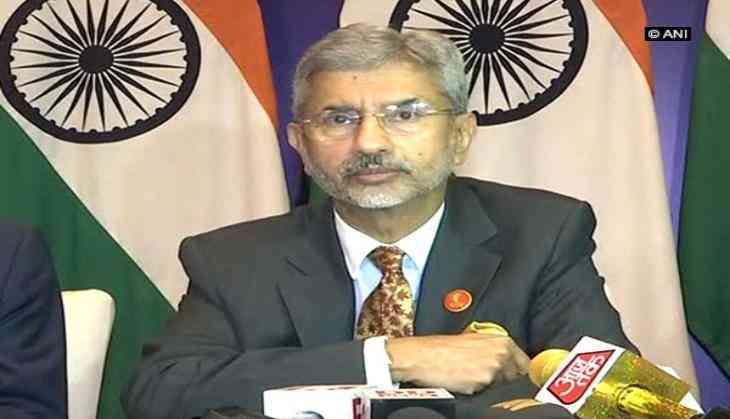 Indian Foreign Secretary S. Jaishankar on 5 September said that Prime Minister Narendra Modi and Chinese President Xi Jinping affirmed that the maintenance of peace and tranquility along the border was a pre-requisite for the further development of relationship between the two countries. "Peace and tranquillity along the border is a pre-requisite for our relationship and there should be more efforts to enhance the level of mutual trust between the two sides," Indian Foreign Secretary S. Jaishankar said, while addressing the media, here. The issue of counter-terrorism, however, did not figure in the discussion. "The discussions were forward-looking and constructive and concluded that both governments need better communication to avoid recent issues. And the issue of counter-terrorism did not figure in the discussion," Jaishankar added. "Both the leaders at their meet at Astana in July had agreed that India and China are natural large powers and that there will be areas of differences. So whenever there is an area of difference, that will be handled with mutual trust and efforts will be made to maintain strong contacts between the personnel of defence of both the countries to maintain peace and cooperation," the Foreign Secretary added. The Indian and Chinese troops, recently, ended a tense stand-off along the Doklam border that began in June and which seriously affected their bilateral ties. This was the first meeting between the Chinese President and the Indian Prime Minister after the conclusion of the border row. "President Jinping and Prime Minister Modi laid out a positive view of where our ties could go and there were some detailed discussions about the mechanisms, which could help both the countries go forward in that direction with the help of inter-governmental groups like strategic institutions, and that can be used to build that relationship. There was a constructive sense of the relationship to keep the ties on an upward trajectory," the Foreign Secretary added. After attending the two-day BRICS Summit in Xiamen, Prime Minister Modi headed for the next stop of his two-nation tour - Myanmar's capital Naypyidaw.